Very interesting patterns. Would make nice wonder stones, or polished slabs. 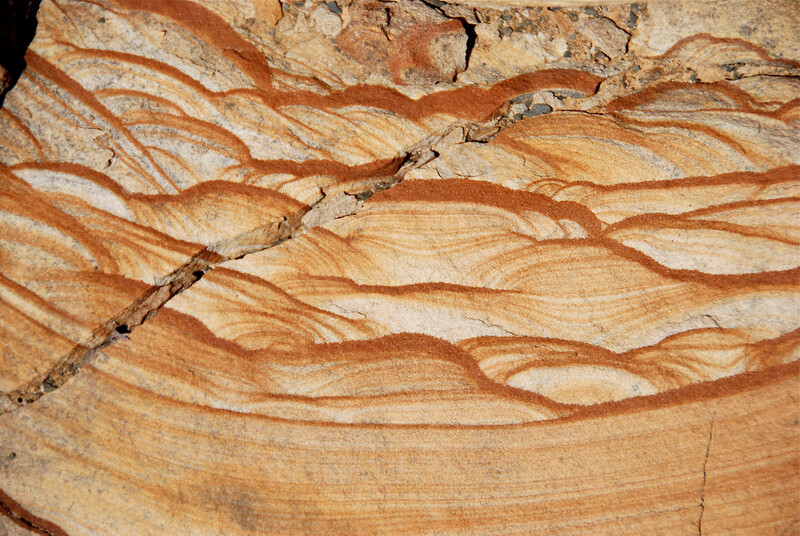 We have a lovely red-purple banded sandstone here in Central NYS from Potsdam, NY. 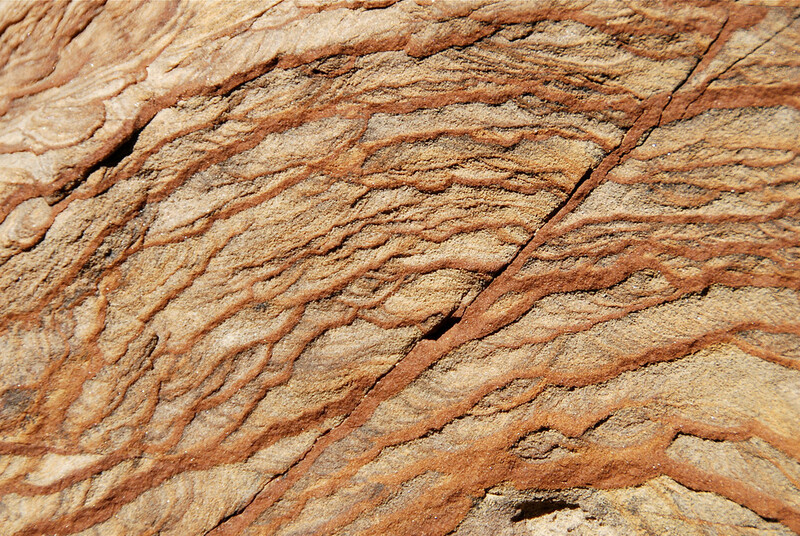 I find it in glacial outwash deposits near my home - 150 miles south of Potsdam. 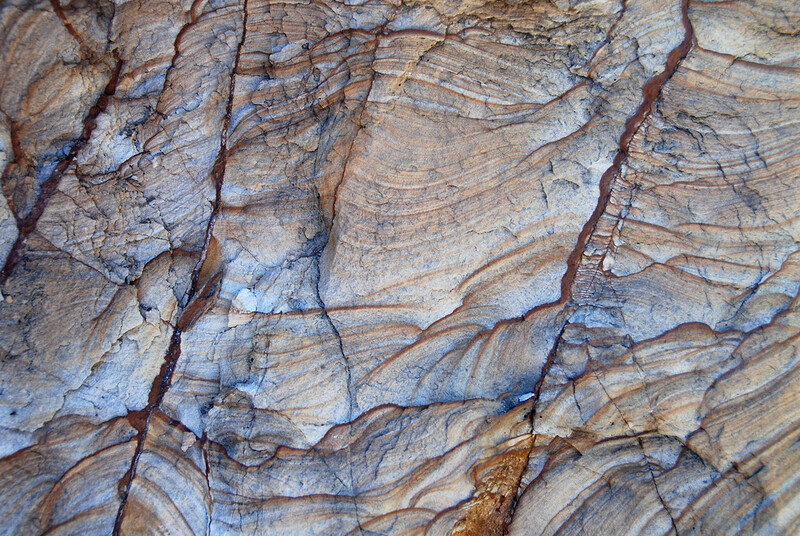 The banding is cross deposited in some specimens creating a mystery as to the orientation of the bedrock when the iron oxide ground water left its evidence. Could the liesegang effect be responsible for this phenomena ?